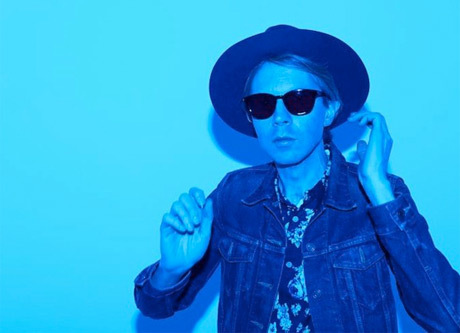 Beck hasn't released a proper album since 2008's Modern Guilt, leaving many to wonder what was causing the delay. Now, the mutating songwriter has revealed at least part of the reason for his silence: he suffered a serious spine injury that affected his ability to play music. There's no word as to how Beck got hurt. Despite the apparent seriousness of his injuries, he can't have been debilitated for too long, since he's hardly been silent over the past few years. He's done everything from covers projects to soundtracks (for both films and videogames) to production work to sheet music. What's more, he's reportedly had multiple albums in states of near-completion. Of course, this will all change when he releases Morning Phase in February via Capitol. Stay tuned for more details about the album to emerge in the coming weeks and months. In the same interview with Página/12, Beck waded into the Spotify debate. "I think the saddest thing about streaming is the issue of sound quality," he said. "It's like watching The Citizen [ed: he likely meant Citizen Kane, but it got lost in translation] on your phone. That's what people are listening to!" He mentioned Neil Young's Pono player as a way this problem might be rectified. Then again, he can't hate Spotify that much, since he created a playlist for the service.